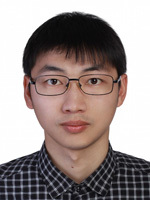 Biqiang Mu received the PhD in operational research and cybernetics from the Key Laboratory of Systems and Control, Chinese Academy of Sciences in 2013 and the work is on recursive identification of block-oriented nonlinear systems. Biqiang Mu's research interests include identification of some nonlinear systems based on nonparametric kernel approaches, for example, block-oriented nonlinear systems, additive nonlinear systems, and nonlinear rational models. Also, Biqiang Mu is interested in identifiability of multi-variable linear discrete-time and continuous-time system described by matrix fractions.